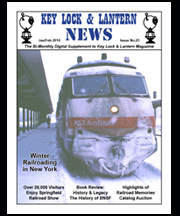 Gaithersburg Railroadiana & Transportation Memorabilia Show, Railroad Memories Auction, Catskill Mountain & Adirondack Scenic RR News, Former Erie Portage Bridge Replaced, KL&L Convention Update, Want Ads & Railroad Event Calendar. 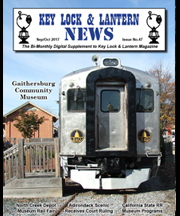 Gaithersburg Museum, North Creek Rail Fair, Adirondack Scenic Railroad Court Decision, Buffalo Central Terminal Show California State Railroad Museum Events, KL&L Convention Announcement, Want Ads & Railroad Event Calendar. 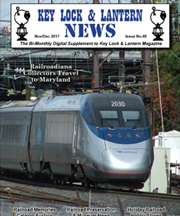 Delaware & Ulster Railroad, Brookline Auction, Big Boy Update, C&O Mallet Update, Railroad Museum News, Amtrak Autumn Express, Want Ads & Railroad Event Calendar. 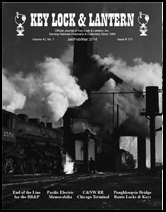 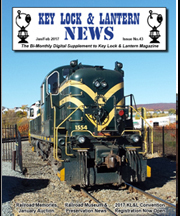 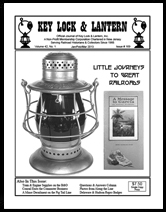 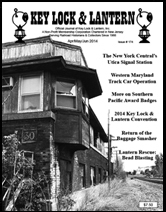 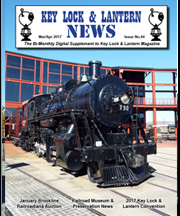 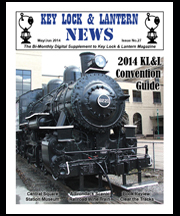 Key, Lock & Lantern 2017 Convention Report, Railroad Memories Auction, C&O Mallet Restoration Report, Upcoming NAOTC & Erie Lackawanna Conventions, Want Ads & Railroad Event Calendar. 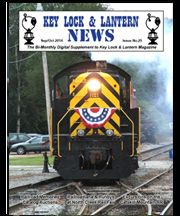 Key, Lock & Lantern 2017 Convention Schedule, January Brookline Auction, California State Railroad Museum Programs, Rails Along the Mohawk Train Show, N&W 611 Schedule, Buffalo Central Terminal, Steamtown & Electric City Trolley Museum, Want Ads & Railroad Event Calendar. 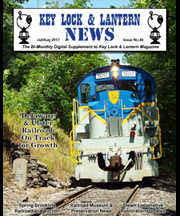 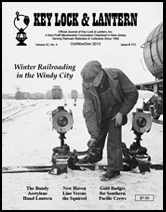 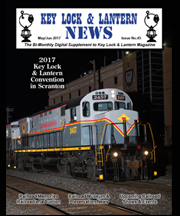 Key, Lock & Lantern 2017 Convention Registration, Railroad Memories Auction, Steamtown Tours, Southern Tier Railroad Programs, Harris Tower Tours, Frisco, TX Museum Tours, New York Central & Katy Convention News, Alco Show Announcement, Colorado RR Museum Auction, Want Ads & Railroad Event Calendar.